← The Sports Archives – Ski Fashion Through The Ages! Ranking golf courses can be difficult, but using the price tag is often a great way to differentiate decent courses from excellent ones. The country’s most prestigious and high quality courses are often the most expensive ones. The luxury that is on evidence comes at a steep price, but they are often worth it. These courses are aesthetically beautiful, come with challenging but enjoyable courses, and have amenities that are unrivaled anywhere else. Here is a look at the top five most expensive courses in the United States. Shadow Creek is a beautifully sculpted course in Las Vegas, Nevada. The course was created by world-famous architect Tom Fazio, who was given a nearly unlimited budget to build the most adventurous and attractive course around. The Shadow Creek experience starts off with a reservation at the MGM Resort, where you will be relaxing during your stay. From that resort, you will have complete limousine service to the golf course. You can make multiple appointments for the day – just ensure that you schedule them at least 24 hours in advance. You will have an individual caddie who goes to the course with you, and advises you on how to play each hole. From luscious greens to white sand traps to a beautiful background landscape, Shadow Creek has it all. 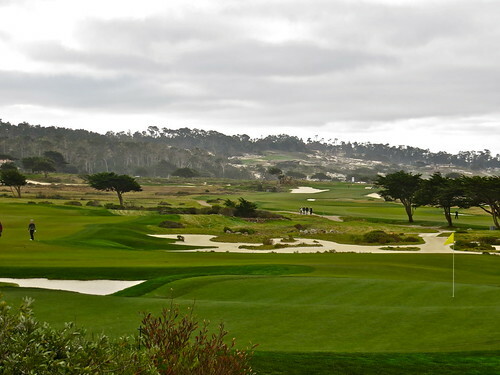 Pebble Beach is a legendary location in California, and is home to one of the top golf courses in the country. They have world-class accommodations, amazing hospitality, and world-class service throughout your stay. Some of the most famous people in the world have visited Pebble Beach, including Clint Eastwood, Jack Nicklaus, and Sir Winston Churchill. The Lodge at Pebble Beach is an award-winning resort, and you will be treated with complete care and in total luxury. The combination of a California coastline and rich forest make for a stunning location that is unmatched anywhere else. You may want to rent a car when you arrive in California, making it easier for you to get to the course and travel to nearby areas as you please. Designed by Donald Ross, who is responsible for more than 400 golf courses throughout the world, Pinehurst no.2 is an extremely prestigious location. It is considered by many to be one of the top golf courses in the United States, both in terms of luxury and in terms of the quality of the holes. 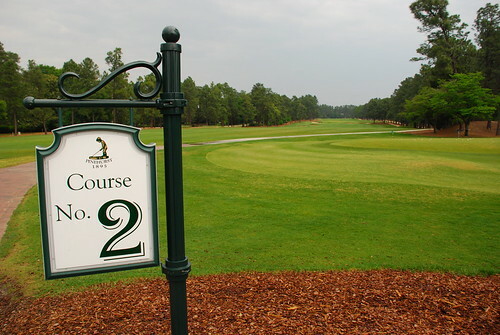 Pinehurst No.2 is so much more than a golf course. There are luxury accommodations, Spa and Fitness centers, wonderfully exotic and expensive dining areas, in addition to wedding spots and other meeting rooms. Think of the Cascata golf course as an oasis away from the desert surroundings. The course has combined the real rock outcroppings perfectly with man-made water features. The result is a spectacular course the likes of which you have to experience to believe. This is a great course for golfing enthusiasts and for beginners who may have only played a few times before. If you are going to be playing at the Cascata course, you may want to stay at the Hard Rock Hotel in Vegas. The Stadium Course was built in 1982 with a specific purpose – to host the PGA Tour’s Players’ Championship. This course was made in a way that makes it easier for fans and spectators to enjoy the golf, while maintaining an extremely high standard of golf for the players to experience. Pete Dye worked on the course, and he created a masterpiece that was true to his standards and his reputation. There is a great balance of par-3s, 4s and 5s, ensuring a course that is challenging but not exhausting. With great dining options, wedding halls, and a Sawgrass Marriott hotel for accommodations, this course is the right mix of luxury and supreme golf enjoyment. Written by Brett Dugan, an experienced travel writer working with Advantage. Finishing Strong: Las Vegas Golf Courses With Challenging Final Holes! This entry was posted in Golf and tagged california, california travel, Cascata, Clint Eastwood, Donald Ross, expensive, golf, Golf Blogs, golf course ranks, golf courses, golfing, golfing holidays, Jack Nicklaus, las vegas, luxury, luxury hotels, luxury lifestyle, luxury travel, MGM Resort, north carolina, Pebble Beach, PGA, Pinehurst No.2, rent a car, Shadow Creek, Sir Winston Churchill, sports and leisure, sports and recreation, Sports Archives, Sports Blogs, The Players Championship, Tom Fazio, TPC at Sawgrass, travel destinations, travel guide, travel tips. Bookmark the permalink.